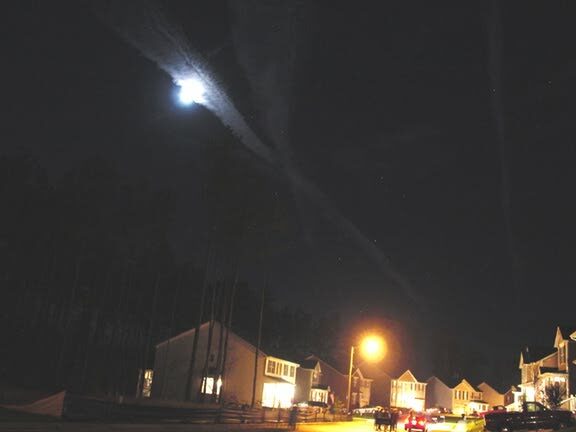 As my children were trick-or-treating this year, I noticed several trails in the night sky. 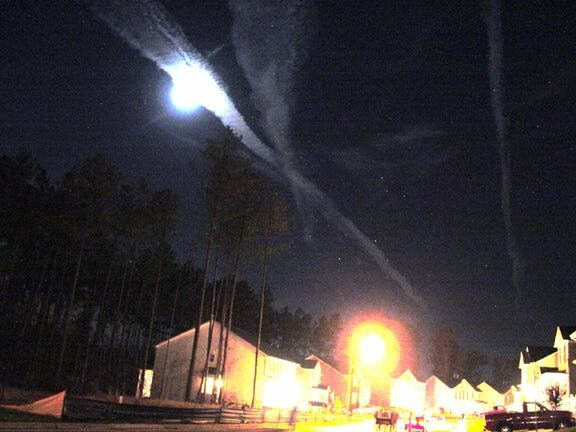 Unfortunately, due to the fact that the picture was taken at night (at 8:30pm), only a couple are visible in this shot. The second image is an exact copy of the first, with some Adobe Photoshop magic used to bring out some of the details. Talk about spooky! I love the site. Keep up the good work.